iOS device users may be familiar with iTunes and know how it is used to create iOS device backups on Windows PC as well as Mac. Creating regular backups of your device is very important, as your iPhone/iPad carry a lot of important information and documents these days. 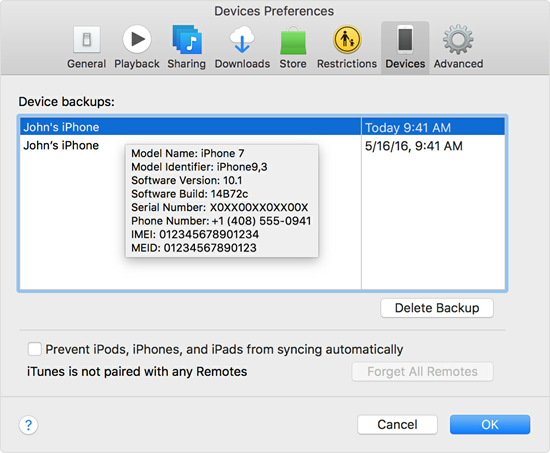 In the case of data failure or device reset, iTunes backups give people relief by helping in restoring all the data back to iOS device. However, regular backup would cause multiple data backup copies on your system. 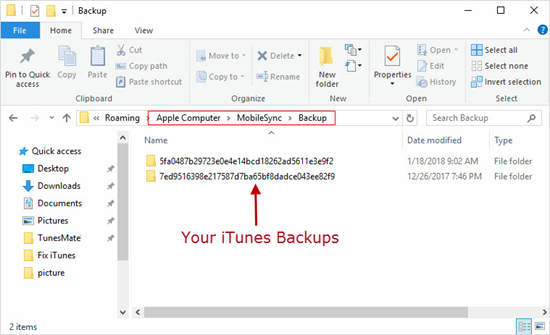 Depending on the amount of data backed up, each backup can take up lot of space from your computer, especially when the user has enabled automatic syncing and backup each time iPhone connecting to the computer. Multiple backups can together occupy a lot of space on your computer which mostly wastes your space and hence may slow down your PC. Yet in the case when we restore iPhone/iPad from backup, the latest backup is the mostly needed but not the older ones. Thus it is advisable to clean up these old and redundant backups from time to time. Should you Clean iTunes Backup on Computer? 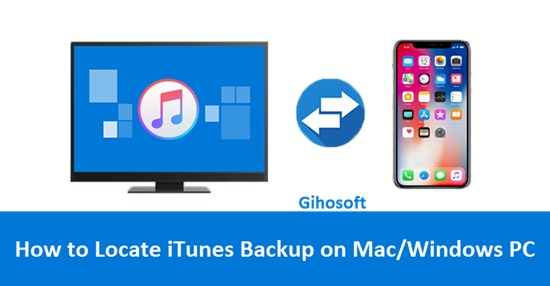 The first step in deleting these old iOS data backups stored on your Mac or Windows PC is to first locate these iTunes backup files. But you need to be very careful when accessing this folder. Any mistake can ruin or corrupt your latest backup as well. Here are a few things you should keep in mind when accessing your iTunes backup. Follow this guide properly to avoid any damage to the backup files created by iTunes. Do not try to edit, relocate or rename the iTunes backup files yourself as it can corrupt them. “~/Library/Application Support/MobileSync/Backup/” (don’t copy the quotation marks). A list of your iOS data backups will appear. Once you have viewed them, you can press “Return/Enter” to exit the page. On Windows 7: click Start. On Windows 8: click the magnifying glass in the upper-right corner. On Windows 10: click the Search bar next to Start button. Enter “%appdata%” in the search bar,, and press Enter. Then go to “Apple Computer > MobileSync > Backup”. Or you can directly go here by navigating to [your name in computer > AppData > Roaming] first then paste this path. You can see all the backups, that have been created by iTunes, here. However, it is not advisable to play or edit these files that may lead to unknown error, which eventually can corrupt the backup and make it unusable in future. Through the above steps, you can easily locate the iTunes backup files created in your PC or Mac. However as you may observe, it is very difficult to know the specific date of the backup file was created or latest modified. So now we will tell you how to access specific backup files and then delete them. Step 1: For Mac, go to iTunes > Preferences. For Windows, run iTunes and go to Edit > Preferences. Step 3: You will see a list of all the backups created till now for a device. Step 4: Choose the old iTunes backups you would like to delete. You can have the detail of the backup by hovering your cursor over specific records. Step 5: Click “Delete Backup” and then confirm. Though the process looks to be very simple and easy, it doesn’t mean there isn’t any disadvantage. The major disadvantage of this process is that it can only delete backups made by iTunes. If you use any other third party application to create backups, then you are out of luck. This process can not help you delete backups made by those applications. You can’t delete all the old and unwanted backups at once. You need to manually select and delete each backup one by one. You should understand that iOS backups eat up lots of space. Even iTunes generates a great amount of useless files such as cache, cookies, logs and junk files when you use it, which not only eats up space. All this unwanted and redundant data can take up lots of space on your PC or Mac and also slow them down, just like any other rubbish file that needs to be cleaned. Hence, you should clean your backups and itunes timely to maintain the good performance of your Mac or Wndows PC. We hope this article can give you some help on iTunes backup. If you have any suggestion or question, feel free to leave a comment below.